1. A new participation record The start of the 39th edition of the Schneider Electric Marathon de Paris was given at 8:45 am under sunny skies. A record-breaking 41,342 athletes left the start line of the most popular sports event in France. To put this into perspective, there were 40,783 participants in 2014 and 39,967 in 2013. Just before the start of the elite field, Mayor of Paris Anne Hidalgo stepped onto the podium on the Avenue des Champs-Élysées to say a few words: "Way to go, everyone. Paris is yours. It is the most beautiful city in the world, and you make it even more beautiful." Schneider Electric Marathon de Paris director Édouard Cassignol added: "Never before have there been so many of you at the start. 18,000 of you came from abroad to share in this celebration. Enjoy the smiles of the 3,000 volunteers who will be at your side every step of the race." 2. Mark Korir and Meseret Mengistu victorious Kenyan Mark Korir clocked a time of 2 h 05′49″ to claim victory on Avenue Foch and succeed Kenenisa Bekele as the winner of the race. The 30-year-old runner improved his personal best mark by a significant margin and took his first major event in the international calendar. Korir had already finished second in last month's Semi-Marathon de Paris. "I've got much better", he chirped at the finish. "I really love Paris!" Kenyan Luka Kanda and Ethiopian Seboka Tola claimed the remaining steps on the men's podium. The French contingent also shone, with Abdellatif Meftah (2 h 11′13″) taking eleventh place and Yohan Durand posting an impressive performance (2 h 14′00″) to finish thirteenth in his debut marathon. The ladies' race went down to the wire, with 28-year-old Ethiopian Meseret Mengistu (2 h 23′26″) beating fellow countrywoman Amane Gobena (2 h 23′30″) and Kenyan Visiline Jepresho trailing in third place. Julien Casoli's victory in the disabled sports category also turned heads, with the Frenchman clinching his second win in the Parisian event after his triumph in the 2012 Schneider Electric Marathon de Paris. 3. Paris, the capital of running The opportunity to run 42.195 km through the most beautiful city in the world is becoming irresistible to an increasing number of foreign runners every year: 150 nationalities were present on the start line. The average age remains stable at 41, but the percentage of women continues to grow and now stands at 25% (versus 21% in 2014). 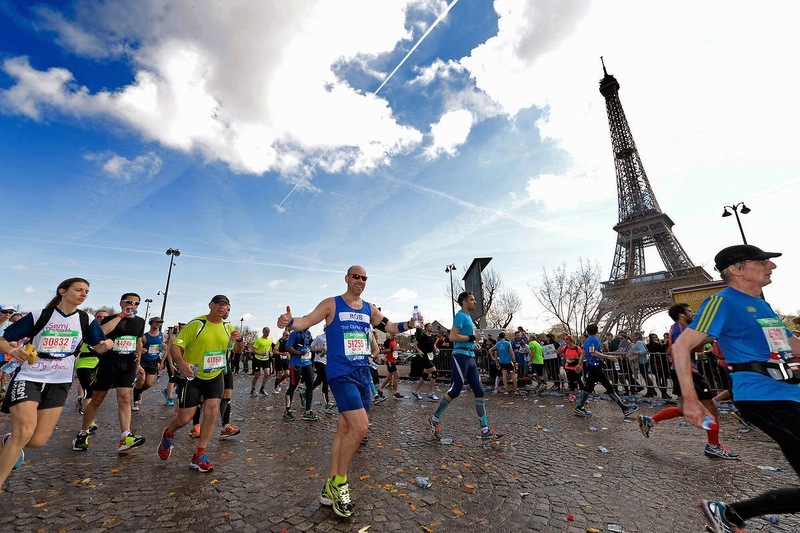 The Schneider Electric Marathon de Paris is not just about visiting the French capital's landmarks, but also about the plethora of shows and activities lining the streets. Hundreds of amateur musicians of all genres roused the competitors, showing why Paris has the best beats of any marathon in the world. Loads of families — together with groups of fans and Parisians coming out to enjoy the show — thronged the pavements to energise the athletes. No fewer than 250,000 spectators turned out to cheer on the biggest field in France. 5. First stage of the registration process for 2016 opens on April 15 Runners who are already itching to sign up for the 2016 Schneider Electric Marathon de Paris and make sure they get a place for the 40th edition will be able to do so when the first wave of the registration process opens on Wednesday, April 15, at 8 am. Registration will be processed via the ASO Challenges platform (https://www.asochallenges.com/) at the best available rates, with a second wave launched in September at the standard rates if there are still places left. 6. Next up in the ASO running calendar… The 10 km L'Équipe will see 20,000 athletes of all levels tackle the basic distance of road racing in the heart of Paris on June 14. Run In Lyon (October 4) and new event Run In Reims (October 11) will continue and close the Run In trilogy, which began on March 15 with Run In Marseille. The idea behind these events, which feature a 10 km race, a half marathon and a marathon, is to combine a great sporting event with the heritage of a city. 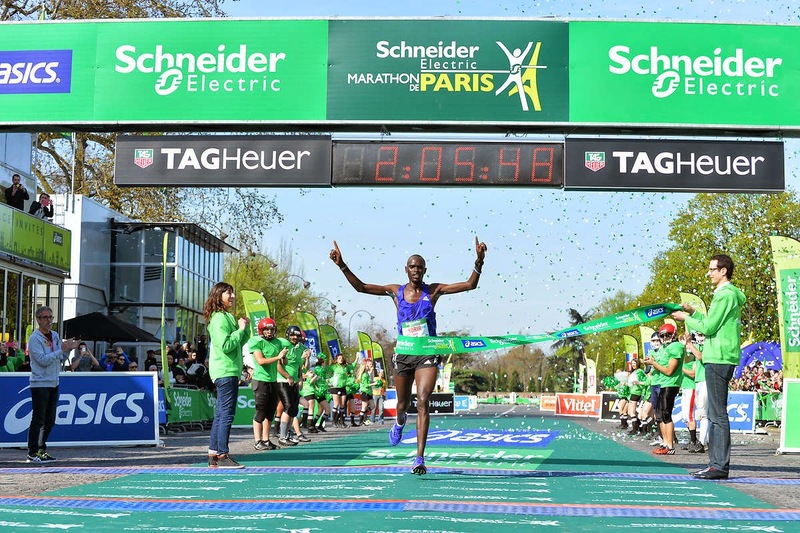 The 40th edition of the Schneider Electric Paris Marathon will take place on April 3, 2015.